Home Off Beat	Musical sparkle! Apart from taking up music as a profession, what do you think a music lover would do to show his passion for music? Getting tattooed, what else! 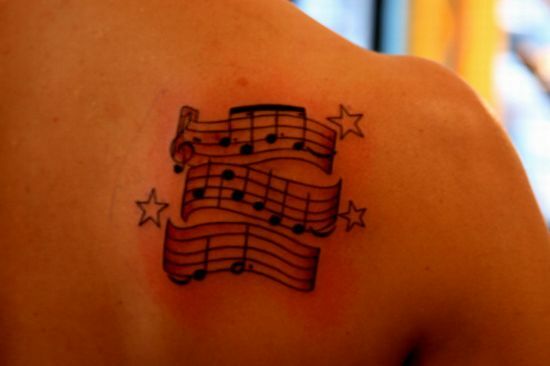 Musical tats are not new to the tattoo industry and this craze for getting musical tats is ever increasing. Hereâs someone who has got a musical and a star tat too. The cute little stars add to the spark and magnificence of the musical tat!